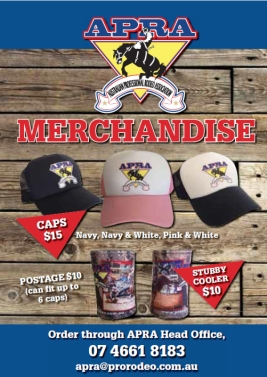 Entries for Rodeos over Christmas and New Year are early. Please check dates carefully. Late entries and cancel outs for Myrtleford and Carrieton are Fri 11th December 9am-5pm & Mon 14th December 9am-12pm. Entries for Tumbarumba & Yarrawonga are accepted a week earlier with the other Victorian Christmas Run Rodeos. Late entries & cancel outs for Finley, Beechworth & Carrick will be Monday 4th January 9am-12pm only due to New Year’s Day holiday. NOTES: 1. 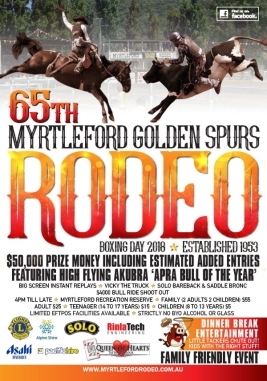 Myrtleford’s 62nd Rodeo! 2. Add back open BR $100 all other open events $65.